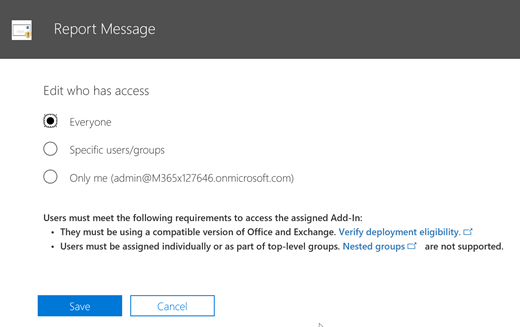 Enable Report Message add-in for users in Office 365. 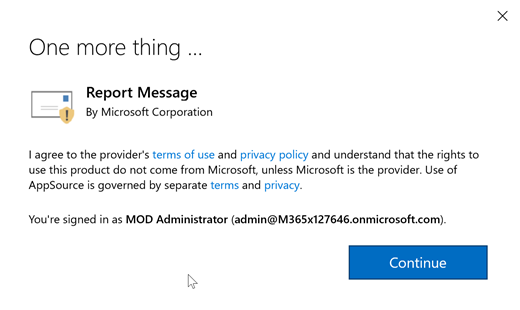 Enabling Report Message add-in for users in Office 365. The Report Message add-in for Outlook and Outlook on the Web enables people to easily report misclassified email, whether safe or malicious, to Microsoft and its affiliates for analysis. 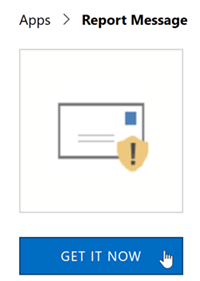 Microsoft uses these submissions to improve the effectiveness of email protection technologies. In addition, if your organization is using Office 365 Advanced Threat Protection or Office 365 Threat Intelligence, the Report Message add-in provides your organization's security team with useful information they can use to review and update security policies. Outlook included with Office 365 Pro Plus. Go to https://portal.office.com and sign in using your work or school account. Choose Admin to go to the Admin center. 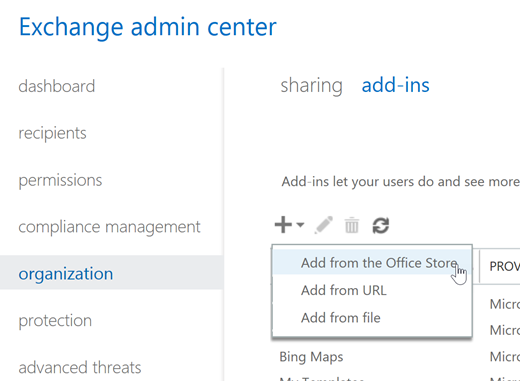 Choose Admin centers > Exchange to go to the Exchange admin center (E.A.C). Choose + > Add from the Office Store. This opens the Office Store in your web browser. In the Apps list, select Report Message, and then choose GET IT NOW. A wizard opens to help you configure the Report Message add-in. Review the information, and choose Next to continue. 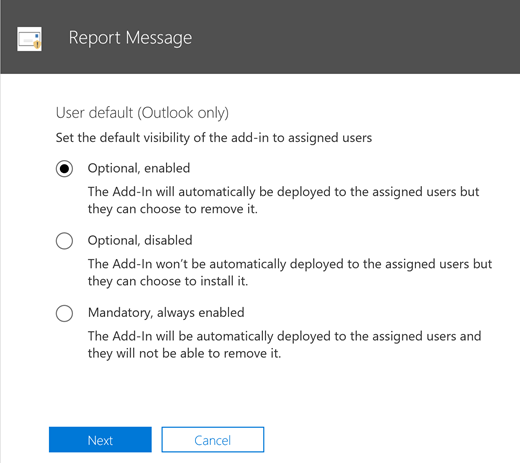 Specify the default setting you want users to have for the Report Message add-in. Specify who gets the Report Message add-in. NOTE: You must be an Office 365 global administrator or an Exchange Online Administrator to complete this task.